Marco is an archaeologist and artist who lives in northeastern Italy. After completing his studies in Archaeology and Cultural Heritage, he followed archaeology digs and artist-in-residence stints all around Italy. He was raised in a family of cyclists—beginning with his grandfather and continuing with his dad—and feels at home on hills and mountains. He grew up in an area that is made for cycling: the Pedemontana Trevigiana, or Treviso foothills. 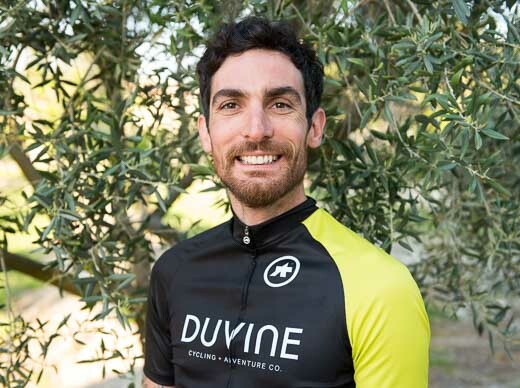 Working with DuVine is the perfect combination of his passions: cycling, culture, and meeting new people.